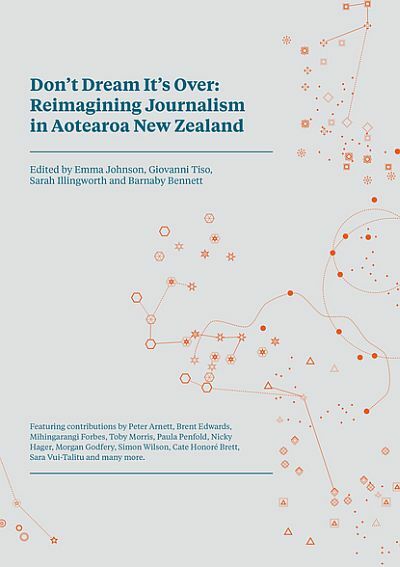 Today’s post is the text of the speech I gave yesterday in Christchurch for the launch of Don’t Dream It’s Over - Reimagining Journalism in Aotearoa, which I edited along with Emma Johnson, Sarah Illingworth and Barnaby Bennett. A nationally televised, prime time, half hour current affairs programme, hosted by a beloved journalist, consistently breaking and covering stories of recognised public value, gets cancelled. It gets cancelled in spite of the fact that it is returning a profit for its commercial network. It gets cancelled because the same slot could be exploited even more profitably by a lighter, cheaper programme. Hosted by Ed Murrow and produced by Fred Friendly, See It Now ran on US television between 1954 and 1958. Murrow had cut his teeth as a correspondent in Europe in the 1930s and 40s, when he was responsible among other things for an immensely influential radio report from the Nazi extermination camp of Buchenwald. 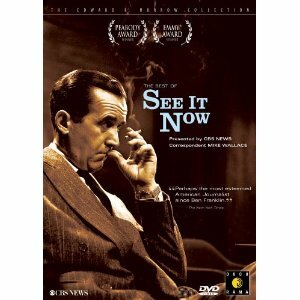 In its relatively brief life, See It Now was the first television programme to talk about the link between cigarette smoke and cancer. It was the first television programme to discuss the effects of radiation on human health after nuclear tests. Most famously, it is credited for hastening the fall from grace of Senator Joe McCarthy, and the winding up of the Senate Committee for the investigation of Un-American Activities. Yet shortly thereafter the programme was moved to a Sunday afternoon time slot and eventually cancelled. It happened 58 years ago, before television broadcasts had even begun in New Zealand. Murrow proposed that the television industry set aside, on a voluntary basis, dedicated prime time slots for the discussion of matters of national importance, in a sort of mutual disarmament move. It was a proposal such as you might find in our book. And I think I speak for my fellow editors when I say that we aspire for our book on reimagining journalism to read as well and sound as fresh in 58 years as Murrow’s speech does today. At the same time, there is something uniquely depressing about the fact that the terms of the debate have shifted so little. By rights Murrow’s speech shouldn’t be current at all, and I’m sure he would be dismayed to learn that we still haven’t figured out how to reliably bring quality current affairs to a mainstream public, or safeguard the basic delivery of investigative journalism. On one hand this underscores how nostalgia for the past is one of the least helpful responses to the current situation. There is really no golden age to be nostalgic for, and certainly no past to go back to. All we can do is to keep grappling with these frustrating problems, put our best ideas forward, and continue to agitate for a journalism at the service of democracy. 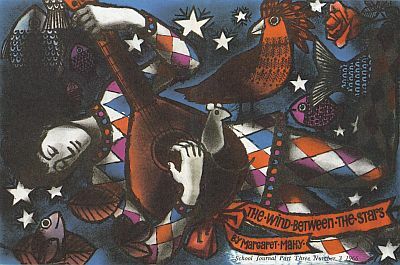 I’m really fond of Once in a Lifetime, which is how I came to know Freerange Press. To me, it was more than a book on how to rebuild a city, although that is certainly no small thing. It was a model of how to mobilise a diverse group of people from different knowledge domains and experiences in order to think deeply about a problem. 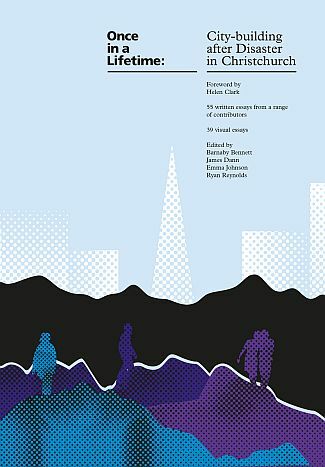 Books like these age well not because the reality they describe refuses to change, but because they map a set of concerns and aspirations that are common to different areas of our social life. As Barnaby Bennett pointed out while we were drafting the introduction to Don’t Dream It’s Over, Once in a Lifetime was already a book about journalism. In a way it was just a question of changing the title and the subject matter, and recruiting a new group of writers. But the blueprint was already there. I want to thank Freerange Press for including me in this project, I’m really proud of this book we made. Please join me in wishing Don’t Dream It’s Over a long and useful life. The book is hitting the shops this week, or you can order it directly from Freerange Press. Over the past few weeks I discussed the book with Sam Smith and James Dann, Paula Penfold talked about it with Wallace Chapman, and Barnaby Bennett dropped in on Kim Hill, while Russell Brown wrote a report of the panel he chaired with contributors at the Christchurch WORD Festival. There will be a Wellington and an Auckland launch as well over the next little while. Look out for the details. Finally, I’ll be at the Going West Festival with Sara Vuitalitu, Simon Wilson and Paula Penfold on September 11. I hope to see you at one of these things. Giovanni Papini was one of Italy’s most peculiar, polemical and complex twentieth-century writers. A self-taught philosopher and inventor of the genre of the metaphysical novella, he spent the first half of his life railing against the clergy and the second half as one of the country’s most virulently reactionary Catholic intellectuals. 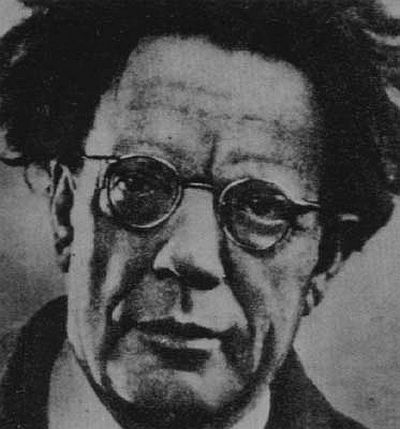 The essay below was published in 1914, in the earlier of the two periods, at the time of Papini’s brief association with the futurist movement. It is not an uncomplicated text, and my translating it certainly does not constitute an endorsement. Perhaps we could liken it to the rant of a present-day libertarian blogger, and we can certainly glimpse in its particular brand of anti-intellectualism and cult of the free spirit elements of the fascist ideology that Papini would eventually embrace. 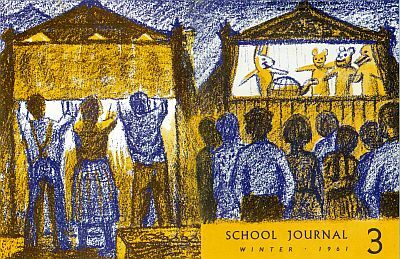 And yet its insight on how schools operated – like prisons, hospitals, churches – as disciplinary institutions is of a quite different nature. Critics of the neoliberal school, with its national standards, its league tables and its teaching to the test, may also find that some of Papini’s charges are becoming newly relevant and applicable. More than anything else, I am drawn to Papini’s view of the school primarily as an architecture. Could the project for a more democratic school begin from that – from the idea of a school without walls? Next week I’m going to republish another translation I did for Overland, this time from the syrupy socialist utopia of Edmondo De Amicis’ Heart, which is very much an antidote to what follows. Then in two weeks I’ll make a proposal for what a progressive school system might look like in New Zealand today. But first, let’s revisit the dark, fulminating pamphlet of Mr Papini. We should beware of large tenements where multitudes of people choose or are made to withdraw. Prison, churches, hospitals, parliaments, barracks, ministries, convents. These public architectures are a bad omen: irrefutable signs of a general disease. Defence against crimes – against death – against the stranger – against disorder – against loneliness – against everything that scares a man when he is left to himself: the eternal coward who makes laws and societies to serve like bastions and trenches to his fearfulness. There are sinister warehouses of bad men – in cities and in the country and on the shores of the sea – that you cannot walk past without dread. There are condemned to darkness, to hunger, to suicide, to stillness, to degradation, to madness, thousands and millions of men who took some riches away from their richer brothers or abruptly diminished the number of that non regrettable humanity. I’m not moved to pity by these men but it saddens me to think too much about their lives – and about the quality and legitimacy of their judges and gaolers. However for these people at least there is the excuse of defending ourselves against future injuries. But what have boys and girls and adolescents done that from the age of six to the age of ten, fifteen, twenty, twenty-four you shut them for so many hours a day in your white-walled jails to sap their bodies and dull their brains? Those others you can call criminals with the authority of your statutes, but these are, even to you, as pure and innocent as they were when they came out of the uteruses of your wives and daughters. With what treacherous excuses do you dare to reduce their pleasure and their freedom in the most wonderful age of life, and prejudice forever the brightness and vigour of their intelligence? Don’t respond with the heavy artillery of progressive rhetoric: the reasons of civility, the education of the spirit, the advance of knowledge… We know with absolute certainty that civilisation did not originate in schools and that schools weaken the spirit instead of fortifying it and that the most important discoveries of science were not the product of public teaching but of the solitary, disinterested and perhaps even mad research of men who had never been to school and who weren’t teachers. We also know, and with the same degree of certainty, that the school, being by necessity a formal and traditionalist institution, succeeds very often in petrifying knowledge and places stubborn obstructions on the path of the most urgent intellectual reforms and revolutions. Only by chance and mere coincidence – it houses so many people! – the school can occasionally become a laboratory for new truths. 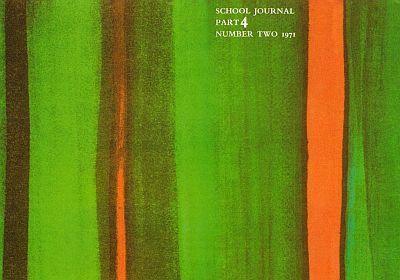 The school is not, by its intrinsic nature, a creation, a spiritual work, but a simple practical organism and tool. It does not produce knowledge but is proud of transmitting it. And it does not even accomplish this last task, for it transmits it badly or more often than not in transmitting it prevents, by desiccating and deforming the receiving brains, the creation of new and better forms of knowledge. Schools, therefore, are nothing but prisons for minors, whom they raise in order to fulfil purely practical and bourgeois needs. For the parents, in the early years, they are the most respectable means of ridding the house of the children who are a nuisance. The motivation of helping them achieve a ‘position’ and a ‘career’ comes into play later. For the teachers above all there is the purpose of earning money for bread, meat and clothes in a profession that is considered ‘dignified’, with the added benefit of three months’ holidays every year and the occasional chance to tend to one’s vanity. Let’s add to this the sadistic delight of being allowed to bore, frighten and torment with impunity a few thousand children or young people by the time one has retired. The State supports schools because family men demand them and because it, the State, seeing as every year it needs a few battalions of office clerks, would rather bring them up according to its own methods and pick them on the basis of the certificates it has issued without the added bother of more tiring selections. Add to this that schools line the pockets of inspectors, directors, caretakers, trainers, assistants, publishers, booksellers, stationers and you’ll get the full texture of the interests woven around our municipal and royal and state-recognized penitentiaries. Nobody – except in speeches – gives any thought to the betterment of the nation or to the development of thought, much less to what should be the paramount consideration: the good of the children. Schools exist, are a convenience, lead to some people earning money: let’s cram boys and girls in there and be done with it. Man, in the three crucial half-dozen years of life (from six to twelve, from twelve to eighteen, from eighteen to twenty-four), needs his freedom. The freedom to strengthen his body and preserve his health, that is to say the freedom to live outside: inside the schools he spoils his eyes, his lungs, his nerves (think how many short-sighted people, anemics and neurotics can rightly curse schools and who invented them!). The freedom to develop his personality in a life open to a myriad possibilities, instead of the artificial and constrained life of the classroom and the boarding school. The freedom to truly learn something, because you never learn anything important from a lecture, but only from great books and personal contact with reality, in which everyone finds their own place and chooses what is most congenial to them instead of being subjected to that uniform and dulling manipulation that goes under the name of teaching. In schools, instead, we have the daily incarceration in dusty rooms full of breaths – in the most unnatural physical immobility – the immobility of the spirit forced to repeat instead of searching – the ruinous effort to learn with moronic methods a multitude of useless things – and the systematic drowning of personality, originality and initiative in the black sea of standardised programmes. 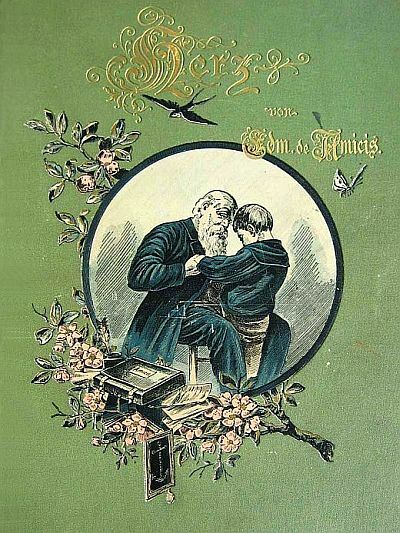 Until six years of age man is prisoner of parents, nannies and tutors; from six to twenty-four he is the subordinate of parents and teachers; from the age of twenty-four he is a slave of the office, of the supervisor, of the public and of his wife; between forty and fifty he is mechanized and ossified by his habits (which are worse than any master) and servant, slave, prisoner, convict and puppet he remains until death. Leave us at least childhood and youth to enjoy some moments of healthy anarchy! The only excuse (but it’s hardly sufficient) for such a very long period of scholastic incarceration is its recognised usefulness to future men. But on this point there is sufficient agreement amongst the most enlightened minds that school does much greater harm than good to the developing brain. It teaches umpteen useless things, which you then have to unlearn in order to learn as many other things by yourself. It teaches umpteen false or debatable things which it takes quite some effort to get rid of – and not everyone manages. It accustoms men to the belief that the entire stock of wisdom of the world resides inside of printed books. It almost never teaches a man what he’s actually going to have to do in life, which then requires a strenuous and lengthy self-taught apprenticeship. It teaches (claims to teach) what nobody will ever be able to teach: painting in the academies; taste in the schools of letters; thought in the schools of philosophy; pedagogy in the training schools; music in the conservatories. It teaches badly because it teaches everyone the same things in the same way and in the same quantity, without taking into account the infinite diversity of intelligence, race, social background, age, needs, etc. You cannot teach to more than one. You cannot learn from others except in a one-to-one conversation, where the person who teaches adapts to the nature of the other, re-explains, exemplifies, asks, debate and does not dispense truth from above. Almost all men who have done something new in the world either never went to school or escaped it early or were ‘bad’ students. (The mediocre ones who manage to go on to honourable and regular careers and perhaps achieve a certain fame are often the ‘best’ in their class). Schools fail to teach what you need the most: so that as soon as you’re done with your exams and have received your diplomas you need to throw up everything you were made to gobble in those forced banquets and start from scratch. I think that very few people – if they were able to judge themselves – could rightly claim to have made such an escape. And all you need to do is look around for a moment and consider the average intelligence of our clerks, managers, professionals and rulers to realise that Hazlitt is right. If there is still some intelligence left in the world, it will be found amongst the autodidacts and the illiterates. School is so deeply hostile to genius that it doesn’t stultify just the pupils but also the teachers. Forced to repeat the same things year after year, they become more moronic and less malleable than they were to begin with – which is no small feat. Poor embittered, bored, stiff-jointed, drained, bullied, demoralised tormentors who move their official and governmental limbs only when it’s time to demand a few more liras in their monthly paycheques! You will hear about schools imparting moral teachings. The only product of the cohabitation of teachers and students is this: seeming subservience and hypocrisy of the latter towards the former, and reciprocal corruption between the students. The only truthful text in a school is the wall of the toilet. We must close down the schools – all of them. From first to last. Nursery schools and kindergartens; boarding schools; primary schools and secondary schools; grammar schools and licei; technical schools and technical institutes; universities and academies; commerce schools and war schools; colleges and military institutes; polytechnics and training schools. Every place in which a man claims to teach other men must be closed down. Let’s not be swayed by the parents in a pickle or the unemployed teachers or the booksellers faced with bankruptcy. Everything will settled down and quieten down over time. We’ll find a way to learn (and to learn better and in less time) without the need to sacrifice the best years of our lives behind the desks of our governmental quasi-prisons. There will be more intelligent men and more men of genius; life and science will progress, and better; everyone will manage and civilization won’t slow down even by one second. There will be more freedom, more health and more joy. The human soul above all. It is the most precious thing we all have. We must protect it at the very time when it is about to grow its wings. We shall give life annuities to all the teachers, tutors, prefects, directors, professors and caretakers, so long as they let young people out of their privileged factories for state-sponsored cretins. We have had enough after so many centuries. Those who oppose freedom and youth work on behalf of idiocy and death. In ten years’ time, barring another big move, I will have spent more time in an English-speaking country than in the one where my native language is spoken. This is already the case for the majority of my adult life. Yet English isn’t now, nor will be then, or ever, the language in which I’m most fluent in. I know for instance that I will never lose my accent, or learn to consistently pronounce correctly everyday words like home and phone. More importantly, even as I think in English when I speak the language – it starts happening quite early in a learner’s life – this thinking will never stop being affected by the deeper structures I learned in my childhood, and around which my very idea of what a language is was moulded. Those are and will always be the structures of the Italian language. There is a slightly bitter corollary to this rule: while my second language will stop getting better, if it hasn’t already, I have to work hard to ensure that my first one doesn’t get worse. Aside from personal and cultural considerations, writing in good Italian is how I make a large portion of my living, and so I can’t afford for it to become rusty, or for English idioms to seep into it. I had to pay less attention to this problem before my mother passed away, as regular phone conversations with a retired intermediate school teacher disinclined to overlook the slightest misuse of the subjunctive tense is exactly the kind of exercise I needed. Over the last two years, however, I’ve had to replace that practice with others, and set aside specific times for a somewhat artificial immersion in the way my language is spoken now, back in the home country. Writing, though. Writing is a different business. Learning to speak a foreign language as a young adult or beyond is a humbling experience, forcing us to speak in short sentences, either in the present or the infinitive, like colonists trying to talk to the natives in an old, racist cartoon. But this is also how we learn to write in our first language. We practice forming letters instead of sounds. Then they ask us to write down simple sentences, over and over again. And to read those strange signs, and to convert them back into syllable and words. Aloud, first, then silently in our heads. I remember what it was like to learn to write at school, and I’ve seen the same laborious process during my children’s education. The superficial similarities of a piece of writing when it is read out loud with speech may fool us into thinking they’re the same language. They are not. We learn to speak by being around other speakers, and barring certain disabilities and conditions most people are highly fluent speakers. Some individuals are more articulate than others, or have a larger vocabulary or a clearer speaking voice: but the language is there, perfectly formed. My formal education lasted two decades but I don’t speak my native tongue any better than my grandmother did hers (the Mantuan dialect) after leaving school at the age of 8 or 9. However, while she was able to read, she could barely write. And not just because ‘writing’ meant writing in Italian as opposed to the dialect. She wouldn’t have known where to begin writing in Mantuan. What this means in practice is that even as English will never be my first language, neither is my written Italian, and so my written English some day might catch up, because after all they’re both foreign seeing as there is nothing ‘natural’ about writing, whereas a spoken language – what did Darwin call it? An art that we learn by instinct. That’s the distinction. All of this is very obvious, I know, probably too obvious to bother blogging about. But I was reminded of the distinction as I was reading Jhumpa Lahiri’s In Other Words, a flawed but intriguing book in which the author tried to reinvent herself not as an American writer writing in Italian, but as an Italian writer. Of course there is a long tradition of major writers writing in a language other than their own. Beckett – who wrote in France, in French – claimed that it enabled him to ‘write without style’. I don’t know that one could look at Beckett’s plays and say that they have no style, but perhaps it’s more of a question of estrangement, of shedding the poetic, literary influences and habits that reverberated through his language, and replace them with others over which he could exercise a different sort of control. Lahiri goes further: she wants to write not just in the Italian language but through Italian culture, for Italian publishers and an Italian audience. As I wrote in a review for The Spinoff, there is an evident if somewhat perplexing desire to undo her past and rewrite her future career. But then maybe sometimes that is why we travel, or move halfway across the world: to shed our past and rewrite our future, with or without the mediation of another language. To the extent that Lahiri ultimately failed, it may be because her desire was too urgent, and she went ahead before her new skin was quite ready. Perhaps next time she’ll fail better. 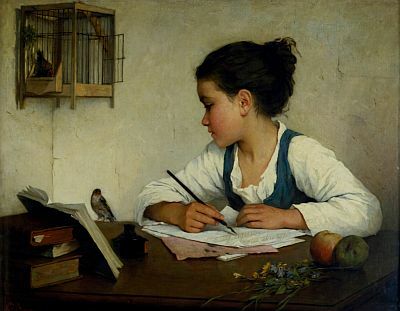 I think of my own writing, and how it was my high school teacher of Italian who really taught me to write in English, by teaching me rhetoric: that is to say how to structure an argument, and above all that prose, too, has its melody and rhythms, like poetry and music. That kind of training is good for any language. And now sometimes I find that it helps, too, to write about my childhood or my family or my culture in a language other than my own, to reorder the words in which I remember things, and find new terms to come to terms with all of that.